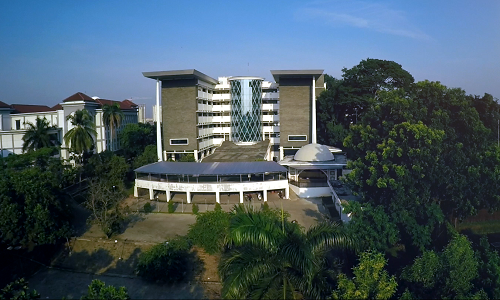 Rectorate, UIN News Online – To increase the academic climates in both institutions, UIN Jakarta and Kardan University established a cooperation in the field of academic development. The MoU is signed by Rector of UIN Jakarta Prof Dr Dede Rosyada MA and the Chancellor of Kardan University Roeen Rahmani at Rector office, rectorate building, campus I of UIN Jakarta, Tuesday (15/19/2017). The signing ceremony was witnessed by Afghan Ambassador to Indonesia Roya Rahmani and Indonesian Ambassador to Afghanistan Dr Arief Rachman. 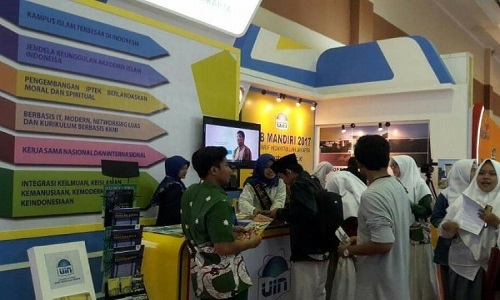 Also present from UIN Jakarta, Vice Rector for Cooperation Prof. Dr. Murodi, Head of Center for Research and Community Outreach (LP2M) Prof Dr Arskal Salim, and Dean of Faculty of Economics and Business (FEB) Dr. Arief Mufraini. Both sides agreed to conduct various activities that are mutually beneficial in an effort to develop and improve academic quality. Cooperation between the two parties was in the form of student and staff exchange, joint research, guest lecturers, exchange of materials, and scholarships. This cooperation will last for five years and will be further extended based on the agreement of both parties. Rector of UIN Jakarta Prof Dr Dede Rosyada in his remarks hopes that the cooperation with Kardan University will give a positive impact for institutional development as well as expansion of science. In line with Rector, the same hope was expressed by the Afghan Ambassador to Indonesia Roya Rahmani. She said that her country will encourage the university development. Even in the future, academic cooperation with other universities in the world will continue to be expanded.